Jim’s lighting them up in the burnout box here as he shows off the Phantom Grip in action. 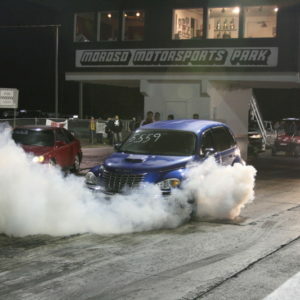 His 2003 Chrysler PT Cruiser GT Turbo, with at the time the pic was taken, a 1.970 60 ft. Thanks Jim for choosing Phantom Grip LSD Conversion Kits.